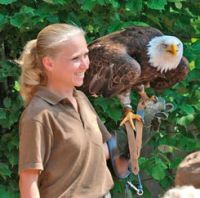 The Vogelpark Steinen is situated in the extreme south-west of Germany, near Lörrach and Basel in Switzerland. Take the motorway exit Lörrach-Mitte (Lörrach centre) on to the B317 in the direction of Schopfheim. Drive through the town of Steinen to Weitenau, then on to the Vogelpark Steinen along the L136 (the road is not signposted). If you are arriving by car, take the A98 and leave it at the exit "Lörrach Mitte" (Lörrach Centre). At the traffic lights turn left in the direction of Schopfheim/Donaueschingen. From there the way to the Vogelpark Steinen is clearly sign-posted. Near the entrance to the park there is a free car park for approx. 350 cars and 15 coaches. You can also easily reach us by bus and train (www.bahn.de or www.rvl-online.de). Steinen is your destination if you come by train. 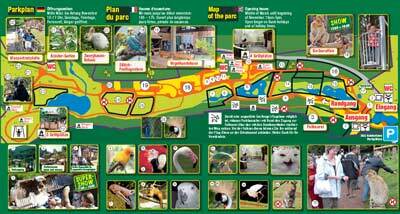 From Steinen Town Hall (50m from the station) you can take the bus 7305 to the Vogelpark Steinen (see timetable). Transport only from Monday to Saturday.